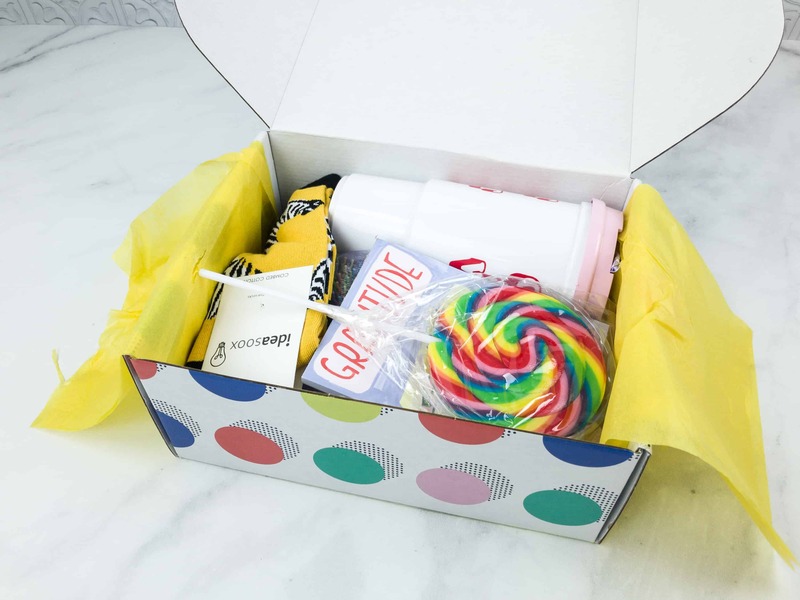 Quirky Crate is a fun and cute monthly women’s subscription box that delivers at least 5-8 quirky items, including a collectible enamel pin, in each box. 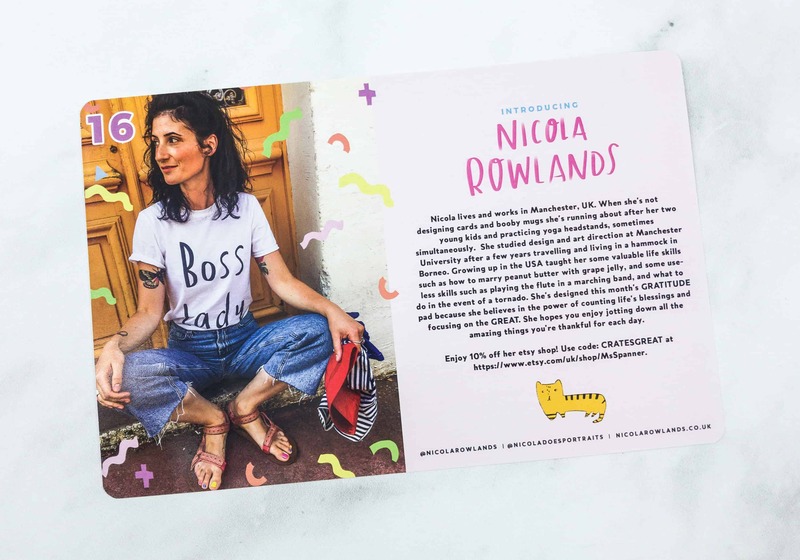 You can expect eccentric handbags and accessories, cute stationery and stickers, plus fun household items and pretty much anything that can bring a smile to your face! DEAL: Enjoy 10% off your first order. Use coupon code UNICORN10. The goodies inside the box are wrapped in tissue paper and secured with a cute sticker. I am seeing lots of cute things! Upon opening the box, an adorable note card welcomes you! The note indicates some exciting news about the box! 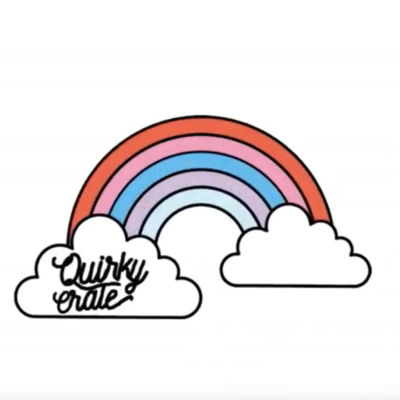 Aside from enamel pin artists, Quirky Box is collaborating with other artists to give more variation and introduce us to more range of artists and quirky women who are totally awesome at their craft. The info card lists all the items inside the box and their retail price. 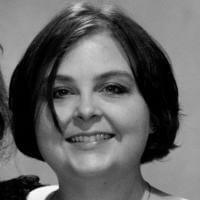 This month’s featured artist is Nicola Rowlands! 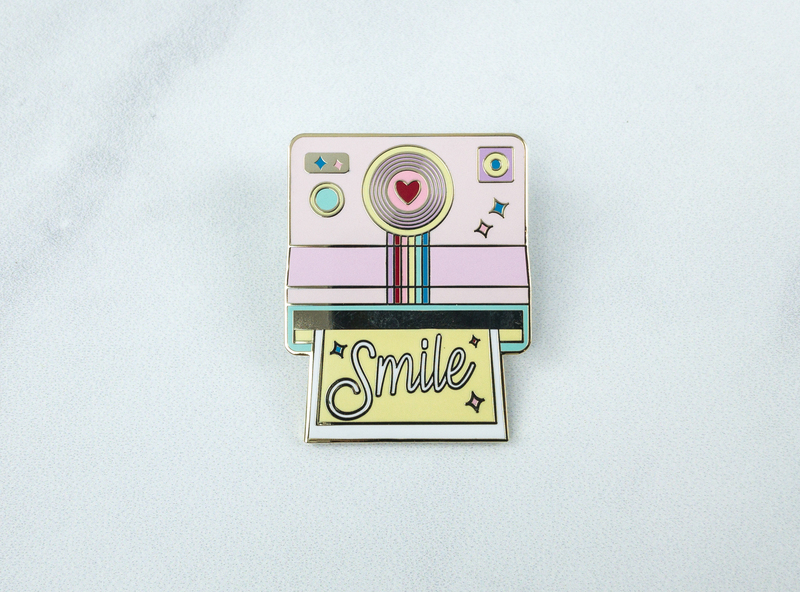 Polaroid Camera Enamel Pin ($10) Cute enamel pins have become Quirky Crate’s trademark. 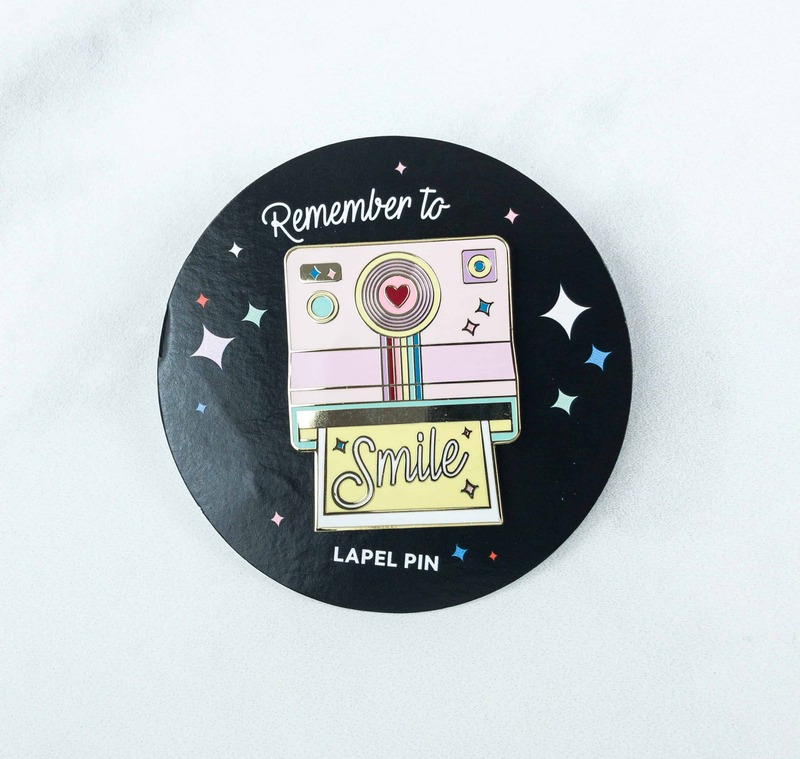 This month’s pin is shaped like a Polaroid camera! The pastel colors made this pin extra adorable. It’s perfect to attach anywhere you want, from denim jackets to totes! 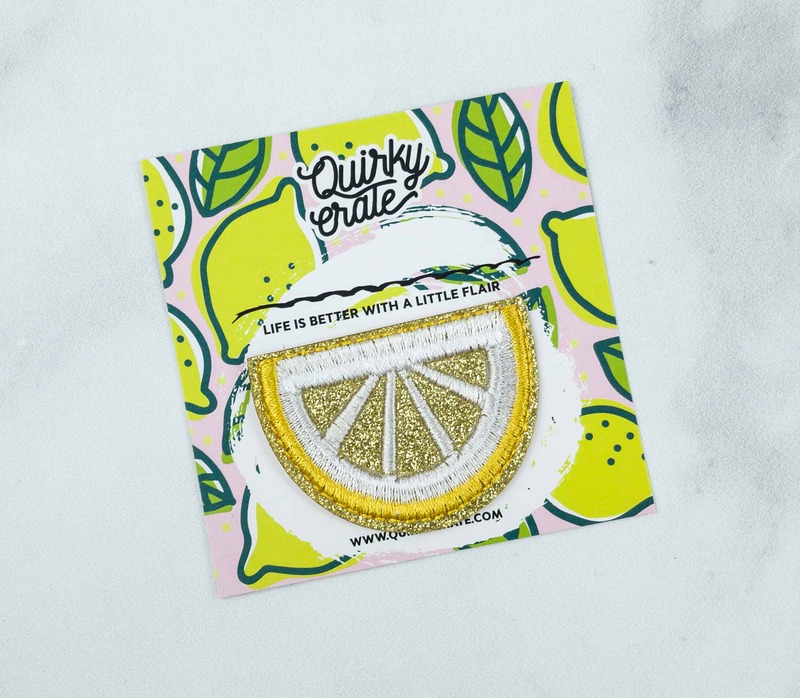 Lemon Glitter Patch ($5) Another thing we look forward in every Quirky Crate is their patches. This month, we received a lemon patch and it’s really glittery! I love how each segment of the lemon shimmers! 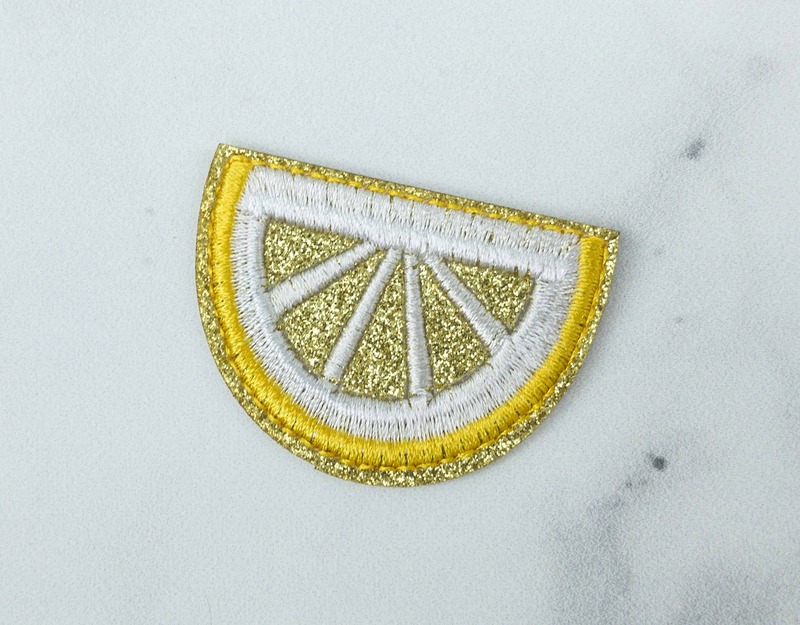 Well, when life gives you lemons… make them shine like this patch! 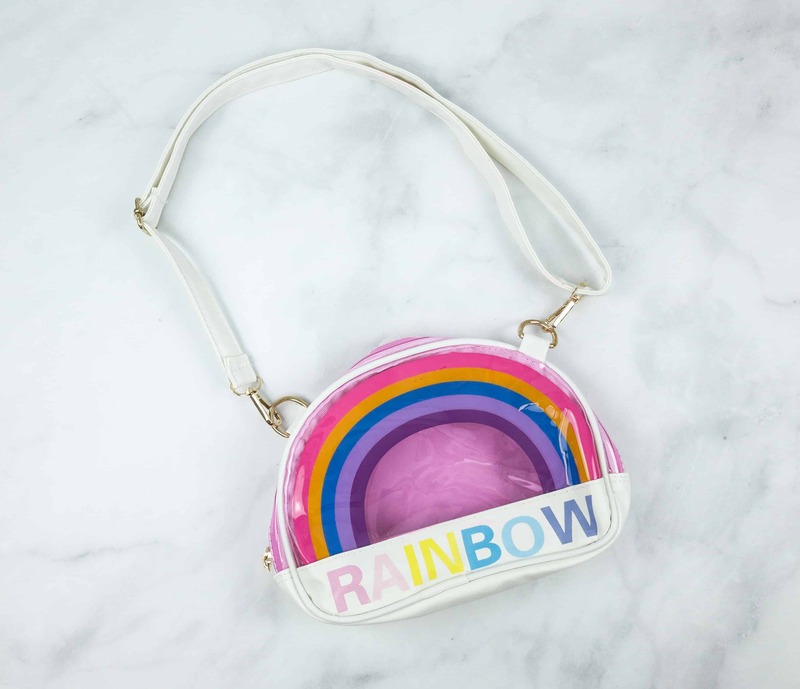 Rainbow Cross-Body Bag ($22) Adding color to this month’s curation is this cute rainbow cross-body bag. 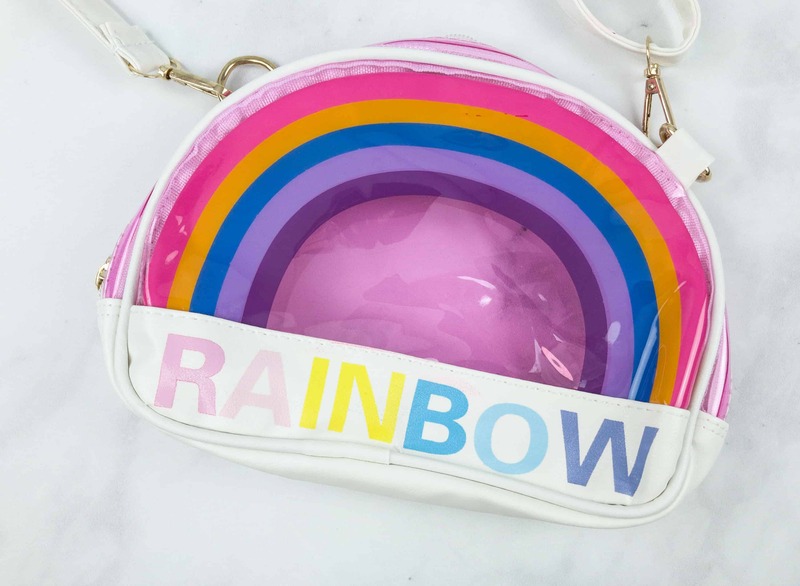 The rainbow cross-body bag is arched like a rainbow, and that part of the bag is transparent, while the bottom part with the words rainbow is not. I guess you can stash stuff that you don’t want others to see at the bottom. It comes with a zipper too so the stuff you put inside it is well-secured. 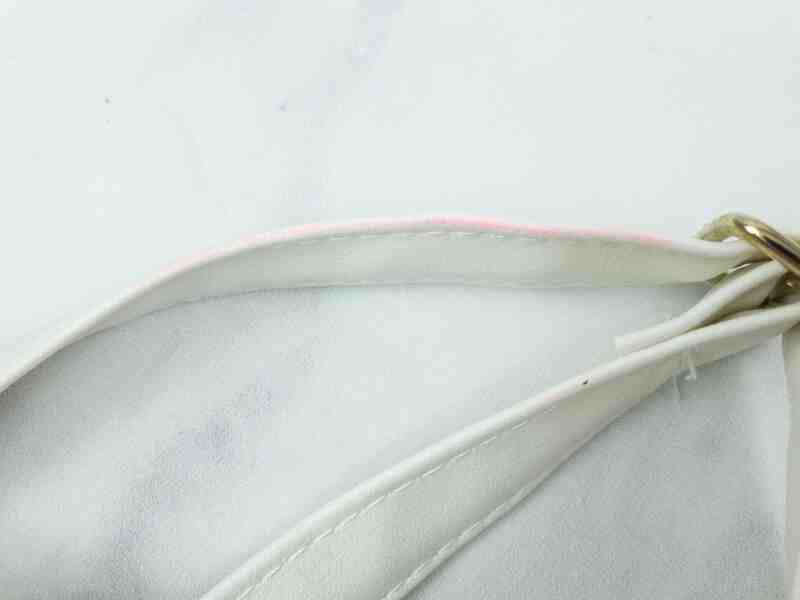 However, the white bag strap was stained with a pinkish hue, I’m guessing from paint or other colorings (I inspected other items and there’s no way the stain is from other things inside the box). Anyway, it’s all good as it’s not really that noticeable when you look at it unless you stare for a longer time but Quirky Crate is sending me a replacement. Awesome customer service! 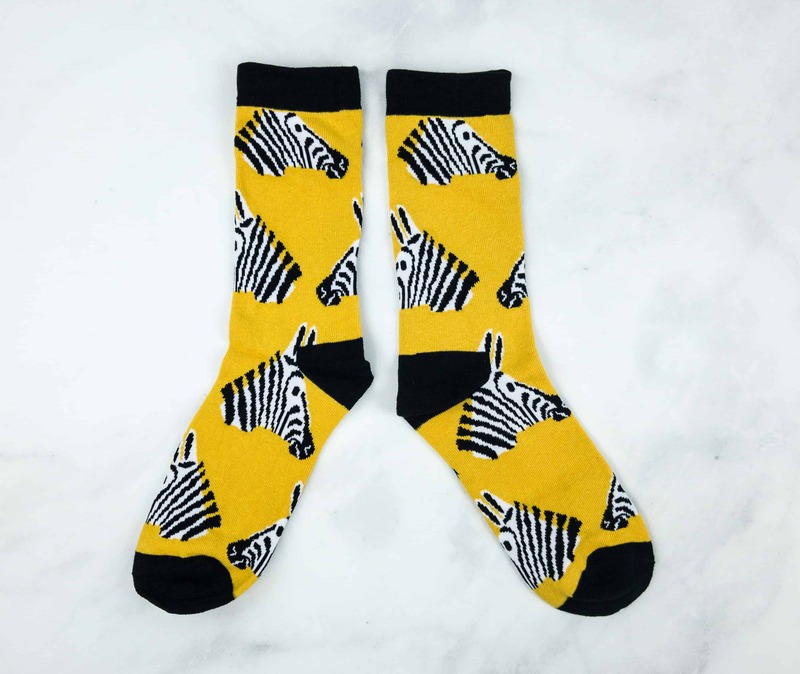 Zebra Socks ($9) I always get happy when I get a fresh pair of socks! This one’s made of combed cotton and has a good fit. 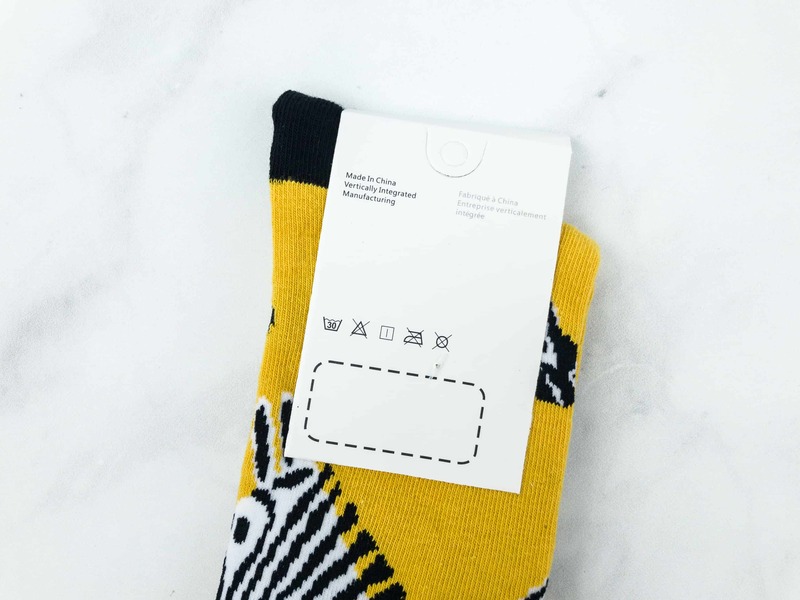 Care instructions are indicated on the socks’ tag. This design is adorable! 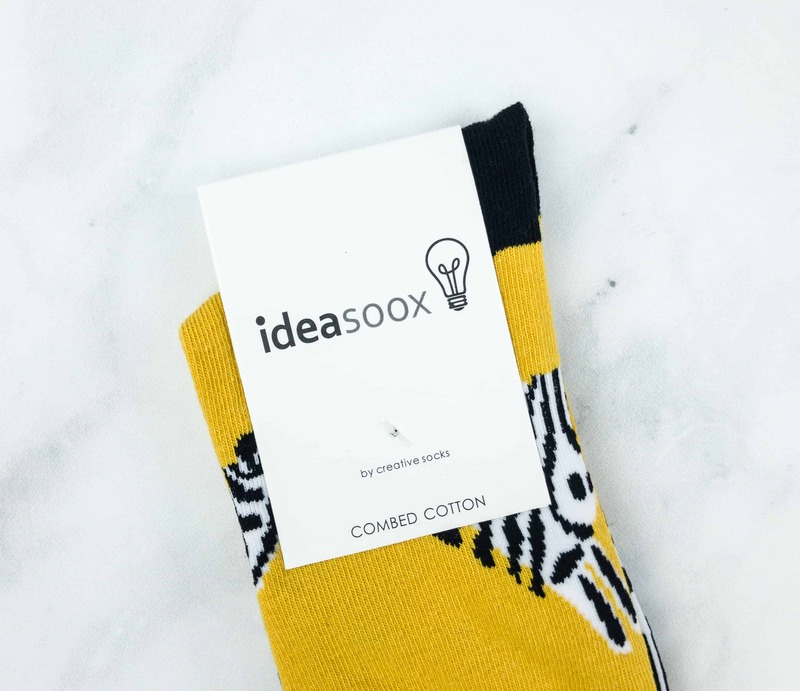 The zebra design is eccentric, and the yellow background color definitely emphasized the animal print. 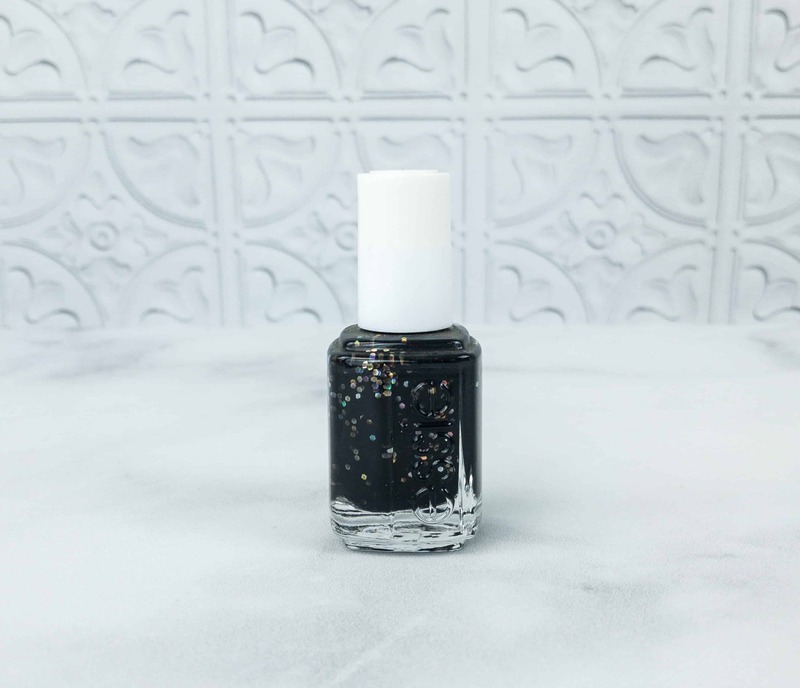 It goes well with the black cuffs, heels, and toes too. 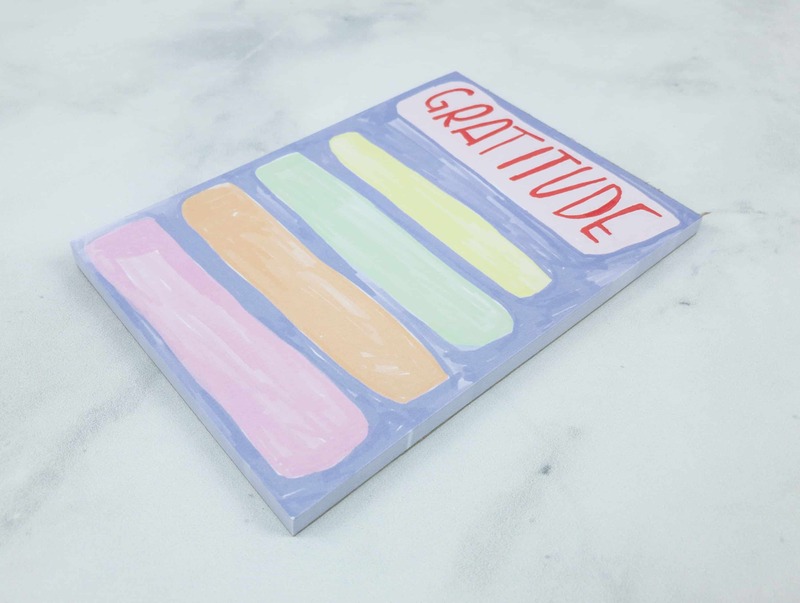 Nicola Rowlands Gratitude Notepad ($5.25) This month’s featured artist designed this lovable notepad! At first, I thought it was a sticky notepad, but turns out it’s just a tear-off set of pads. 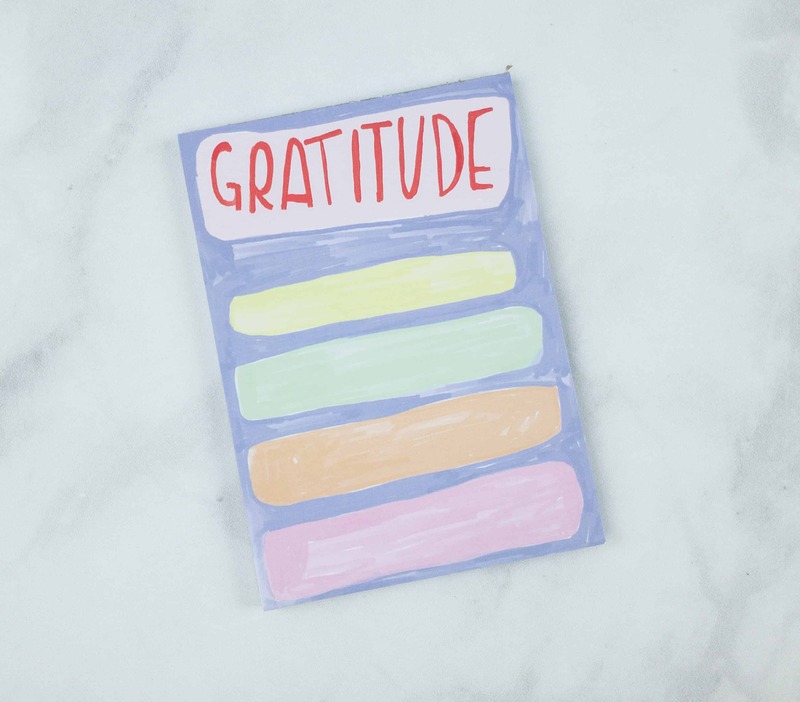 Yes, being grateful is a wonderful trait to have… It shows your appreciation for everything! Just one word but the pad’s full of inspiration and good vibes, and it’s colorful too! 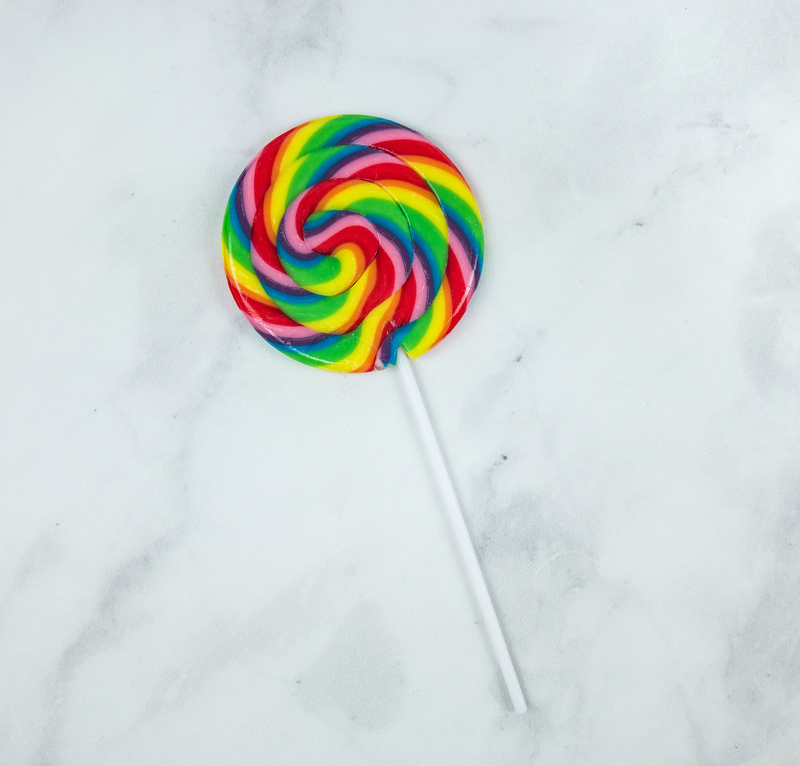 Also included in the box is a rainbow-colored lollipop! Rainbow Hair Brush ($12) I really love how everything in this box is colorful, and I’m thrilled to see something that I can use every day to detangle my daughter’s stubborn hair. 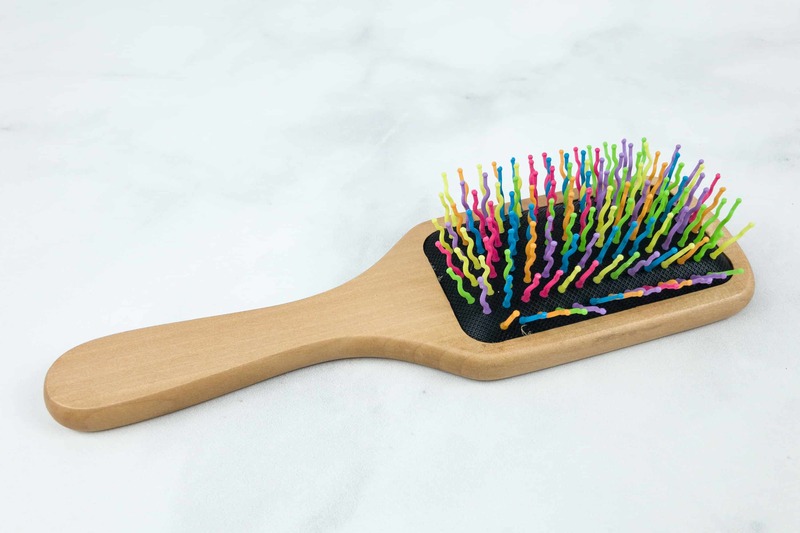 The bristles are soft and aside from looking cool and colorful, I am sure that this brush will help me out in smoothing and styling her hair. Travel Mug ($12.50) Keeping myself hydrated, especially when I’m out and about, is almost effortless with the use of this mug. 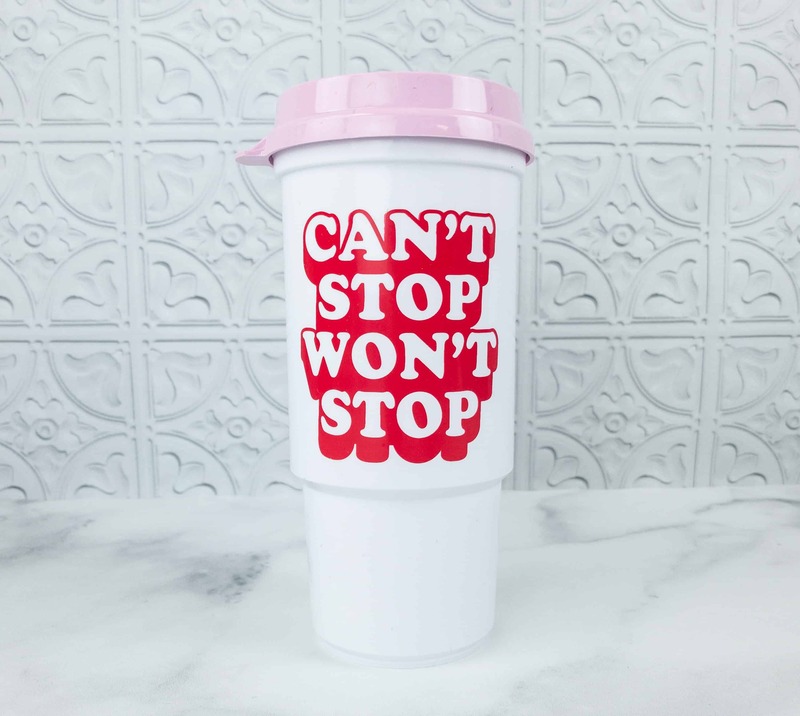 I also like the quote on it: Can’t Stop, Won’t Stop! There’s a straw hole on the lid so I can just stick one to it and sip easily, and the size of the mug easily fits most cup holders too. 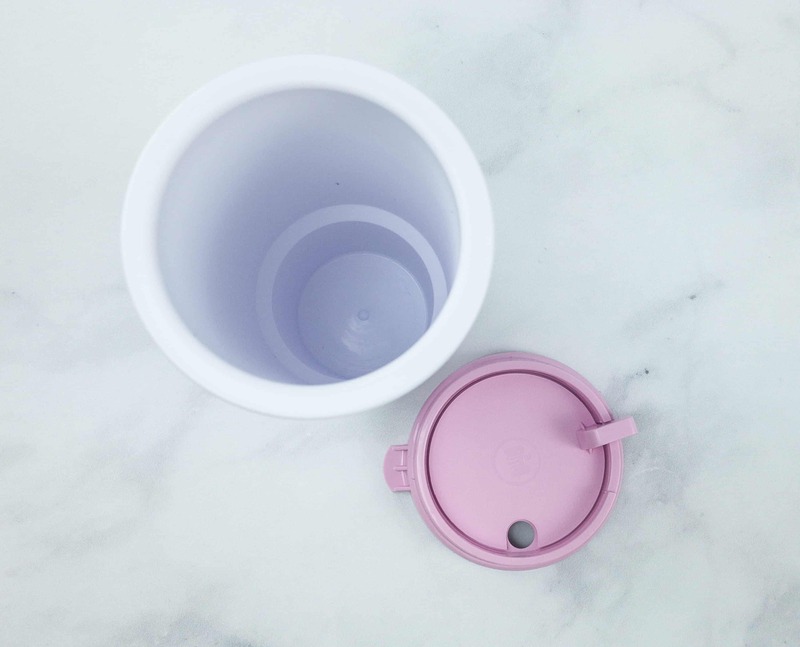 I was hoping for a mug just like this functionality wise and lucky me – it came in this box! 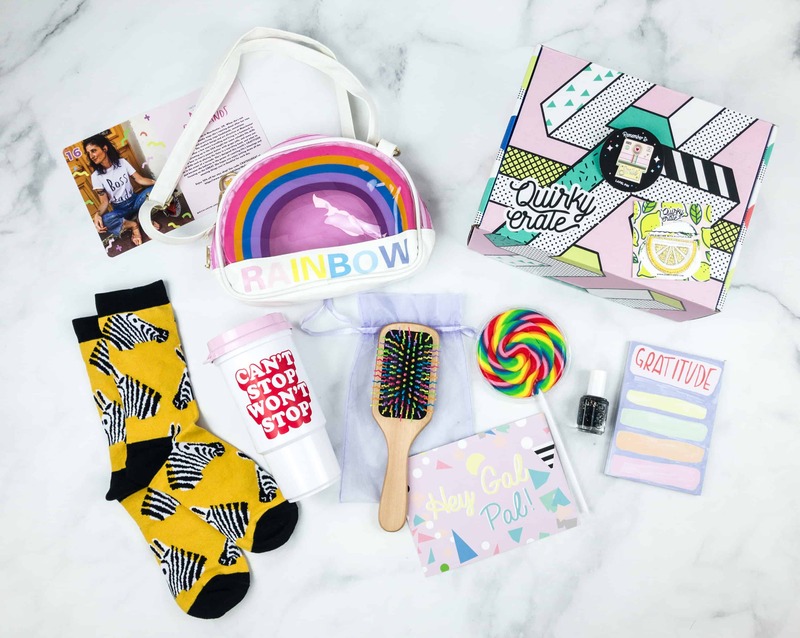 Quirky Crate definitely lives up to its name, as it never fails to send us uniquely cute items. Even though the pin this month is not designed by the featured artist, it’s still great! 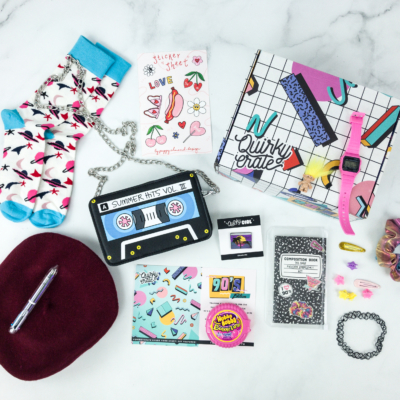 What do you think of this month’s Quirky Crate box? 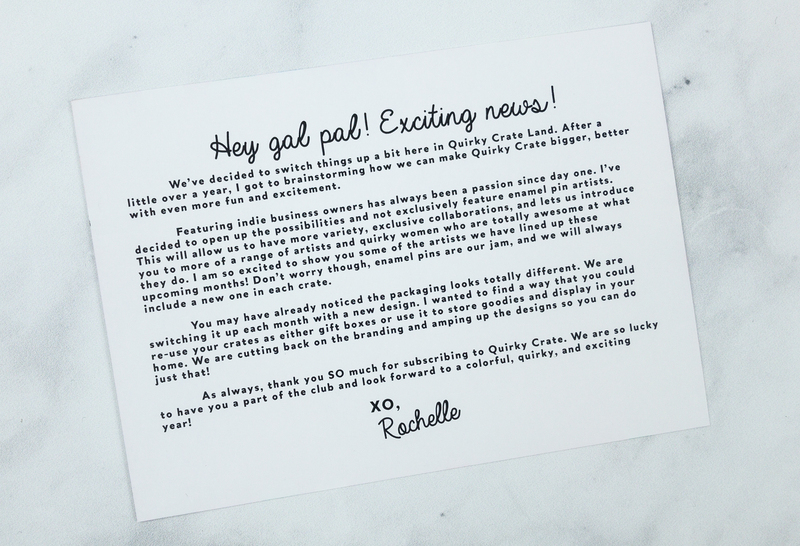 Visit Quirky Crate to subscribe or find out more! 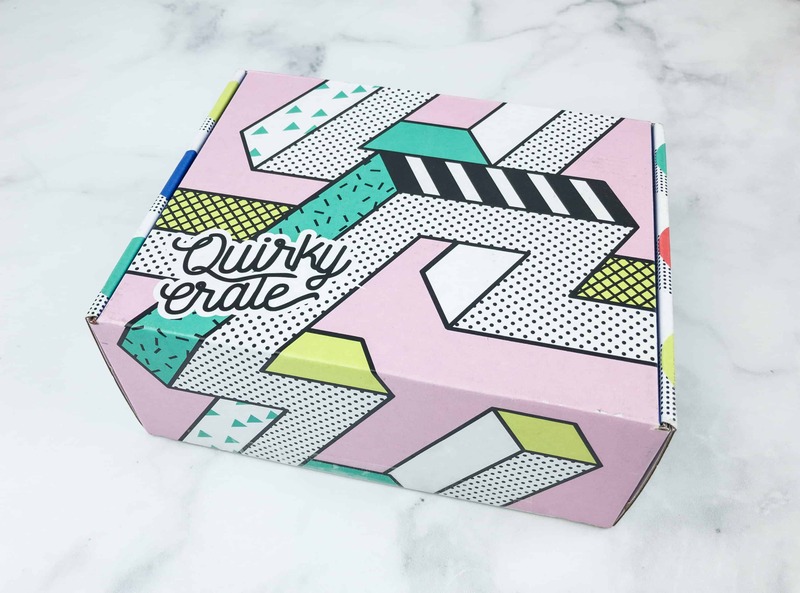 Quirky Crate delivers a box of awesome to your door step each month. You will receive at least 5-8 quirky items, including an enamel pin from a featured pin artist each box. 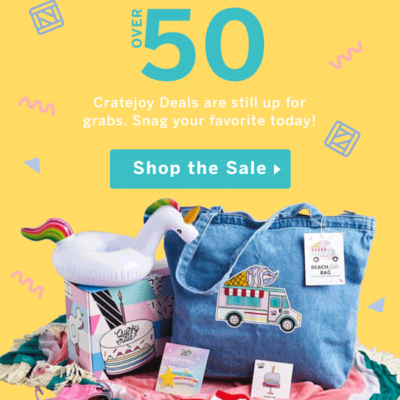 You can expect eccentric hand bags and accessories, cute stationary and stickers, fun household items and pretty much anything we can find that will bring a smile to your face! Enjoy 10% off your first order. Use coupon code UNICORN10.